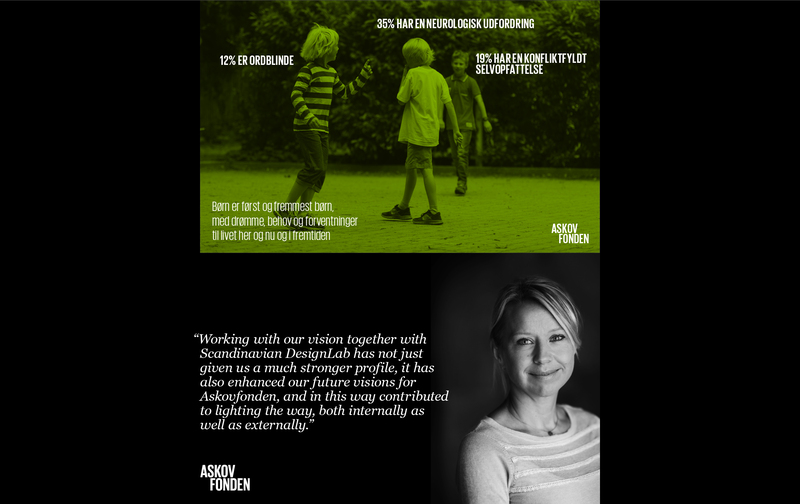 The newly appointed CEO for Askovgården, Helle Øbo, came to us this spring and asked for our assistance in executing her vision for what is one of Denmark’s largest NGOs. 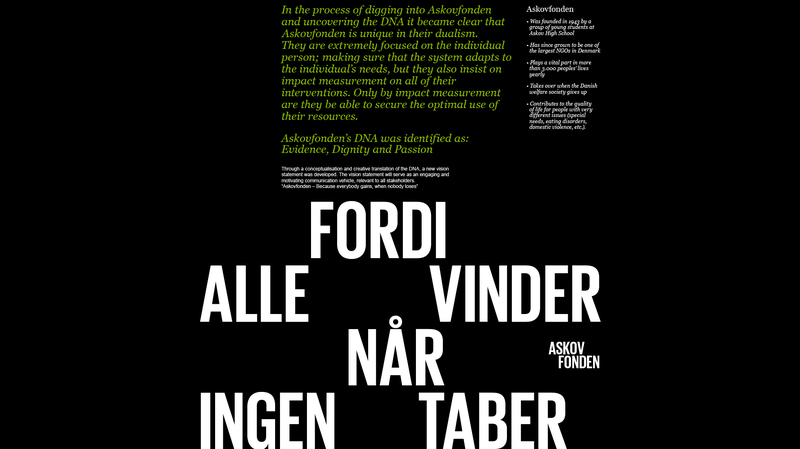 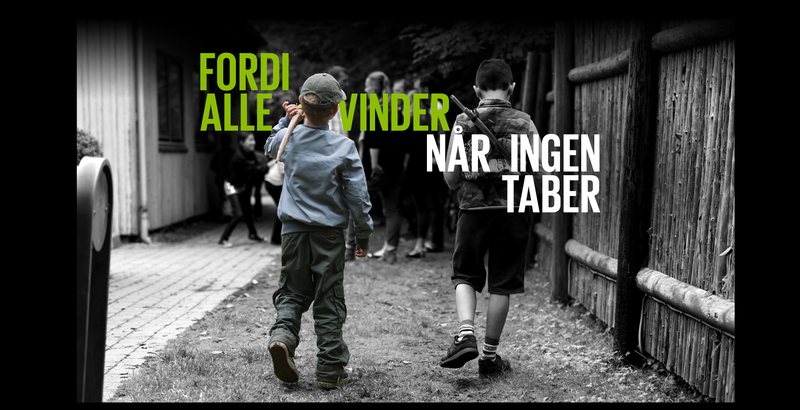 At the time, very few people knew anything about Askovgården and there was a huge gap between the perception of Askovgården and the very professional NGO it actually is, mainly due to the conceptual and visual representation of the brand. 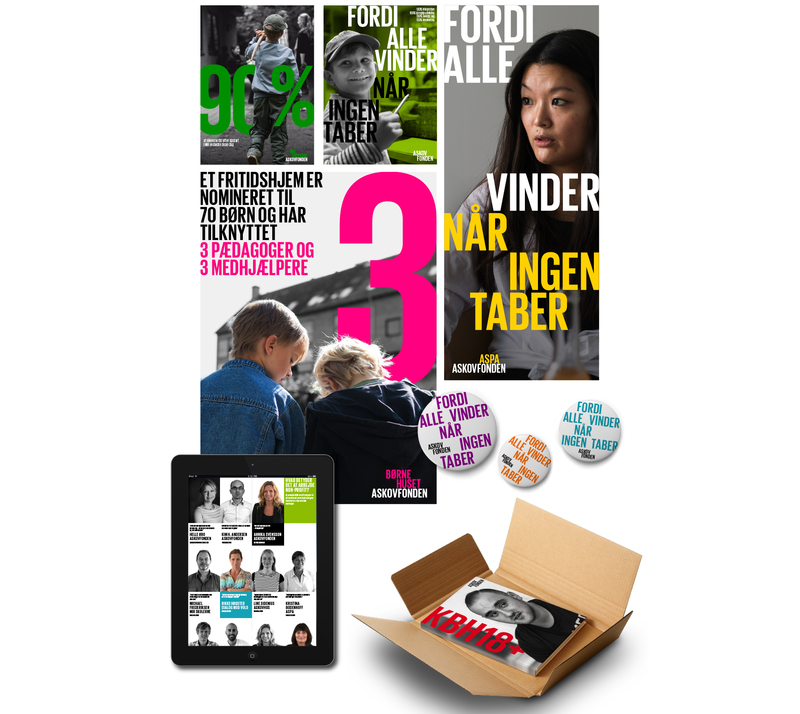 Bridging the gap was crucial for Helle Øbo, as it is her plan to participate and influence the public debate regarding socially marginalised people. 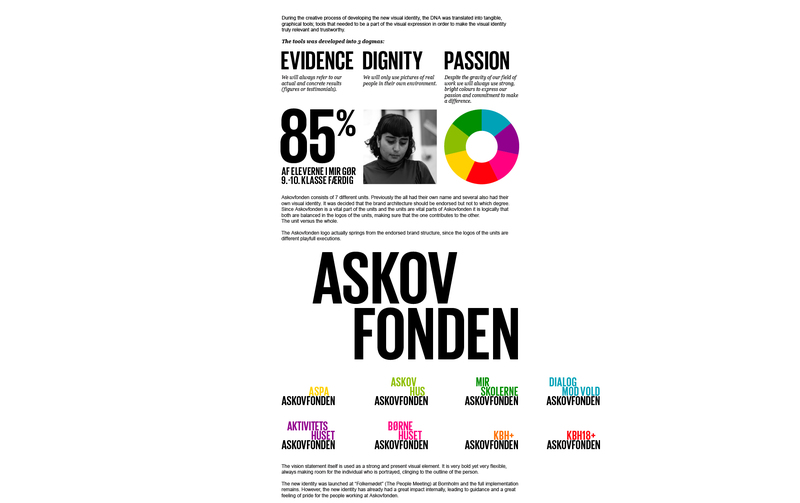 and it was agreed to change the name to “Askovfonden” (The Askov Foundation) and create a new identity based on the organisations DNA.